Vitae Pharmaceuticals, Inc. (VTAE), a clinical-stage biotechnology company, today announced that it has initiated the second part of its Phase 1 multiple ascending dose clinical trial of VTP-43742 in psoriatic patients. 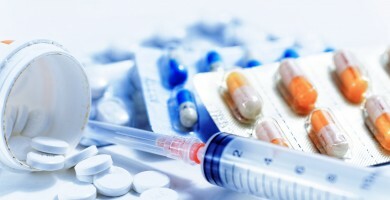 VTP-43742 is the Company's wholly owned and first-in-class RORγt inhibitor product candidate for the treatment of autoimmune disorders, potentially including psoriasis, psoriatic arthritis, ankylosing spondylitis, rheumatoid arthritis and multiple sclerosis, as well as numerous orphan diseases. In this proof-of-concept study, Vitae will evaluate the safety, tolerability, pharmacokinetics, pharmacodynamics and clinical efficacy of multiple ascending doses of VTP-43742 in patients with moderate to severe psoriasis. The primary endpoint measure will be a percent change from baseline in the PASI (Psoriasis Area and Severity Index) score at four weeks. Top-line clinical efficacy results are expected by the end of 2015. This proof-of-concept part of the Phase 1 multiple ascending dose trial overlaps with the first part of the study currently being conducted in healthy human volunteers, which the Company initiated in August 2015. "The initiation of this second part of our multiple ascending dose proof-of-concept trial marks Vitae's first assessment of the clinical efficacy of our novel and first-in-class RORγt inhibitor in a psoriatic patient population. This is a major step for the Company, and for determining whether VTP-43742 can provide a safe, effective and convenient oral treatment option for this patient population whose needs may not be satisfied by the current standards of care," said Dr. Richard Gregg, Chief Scientific Officer of Vitae. Autoimmune disorders, where a patient's own immune system attacks normal tissue, make up a large number of human disorders. Increased activity of a class of lymphocytes called Th17 cells, and the subsequent excess production of pro-inflammatory cytokines, including IL-17, by those cells are critical parts of the pathophysiology of many human autoimmune disorders. RORγt is a nuclear hormone receptor that is essential for the formation and function of Th17 cells. Vitae believes inhibition of excess RORγt activity in immune cells will be beneficial for the treatment of multiple autoimmune disorders, potentially including psoriasis, psoriatic arthritis, ankylosing spondylitis, rheumatoid arthritis and multiple sclerosis, as well as numerous orphan diseases. VTP-43742 is Vitae's wholly owned product candidate for the treatment of a variety of autoimmune disorders. In preclinical studies, VTP-43742 inhibits the activity of RORγt and has demonstrated potent inhibition of IL-17 secretion from Th17 cells. It is highly selective versus other ROR isotypes, and has demonstrated a human oral dosing schedule of once-a-day. The efficacy potential of VTP-43742 was demonstrated in an animal model of multiple sclerosis in direct comparison to an IL-17A monoclonal antibody. Vitae previously disclosed results from a Phase 1 single ascending dose clinical trial in healthy human volunteers in September 2015. The Company also initiated an overlapping Phase 1 multiple ascending dose clinical trial in healthy human volunteers in August 2015. Vitae Pharmaceuticals is a clinical-stage biotechnology company focused on discovering and developing first-in-class, small molecule drugs for difficult-to-drug disease targets that can potentially address significant unmet medical needs, including programs in autoimmune disorders, atopic dermatitis, Alzheimer's disease and diabetes. This robust and growing portfolio of novel product candidates is generated internally by Contour(R), Vitae's proprietary structure-based drug discovery platform.